You know you’ve heard about it. Hollywood gets it in their facials. The Kardashians get it everywhere. It’s being pointed out + highlighted by fitness experts, so what gives? Sounds pretty amazing, huh?! To reap all the benefits of collagen, you’re going need to consume it! This can come from a few different sources. The body produces collagen after it breaks down amino acids from protein-rich foods like chicken, dairy, and meat. Did you know your body is most likely to take up collagen after a workout? Collagen is a HUGE component of muscle recovery + repair for everyday activity and athletic support. 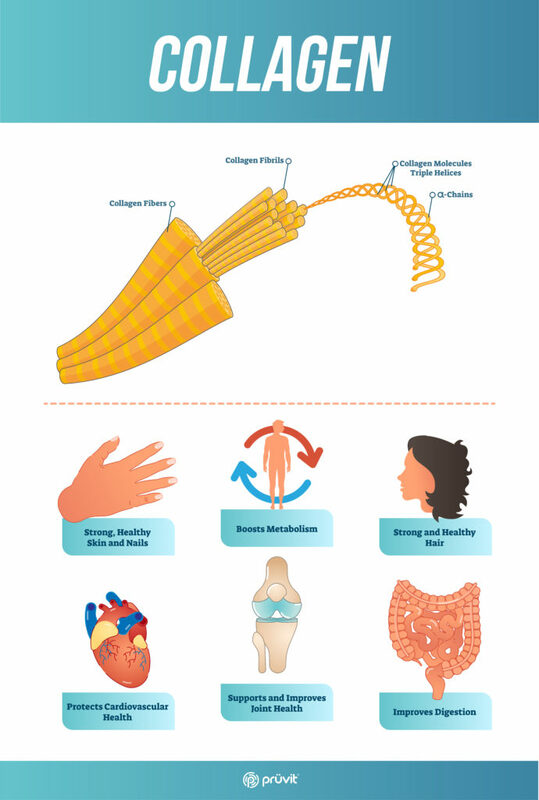 Not only does collagen lend a recovering hand to muscle repair, but it also supports joints, tendons, and ligaments! STRONGER muscles + joints = stronger YOU! You can also get these superhuman-supporting benefits from our BETTER//BROTH™! Let’s just say, Batman would drink it. Since our bones are a combination of collagen + calcium, it only makes sense that a bone broth would support collagen production in the body. Our BETTER//BROTH™ Salted Caramel and Keto Thyme are chock FULL of the amino acids that the body utilizes in collagen production! Lucky for you, BOTH flavors of BETTER//BROTH™ are available everyday in our pruvitnow.com store! Love the collagen in bone broth and keto kreme here in the UK.